The weather in Puglia in September is still warm and sunny with temperatures in the mid-20s but the crowds now begin to thin out. The summer holidays are over and the children back at school, which means the beaches, cafes and historic sites are less crowded. September is a wonderful time to explore Puglia, the southeastern tip of Italy and Salento or the heel of Italy’s boot. The weather in Puglia in September is still warm and dry. There is more rain in September but still only around 50mm and after the long, hot sunny days of summer it often falls as dramatic thunderstorms. 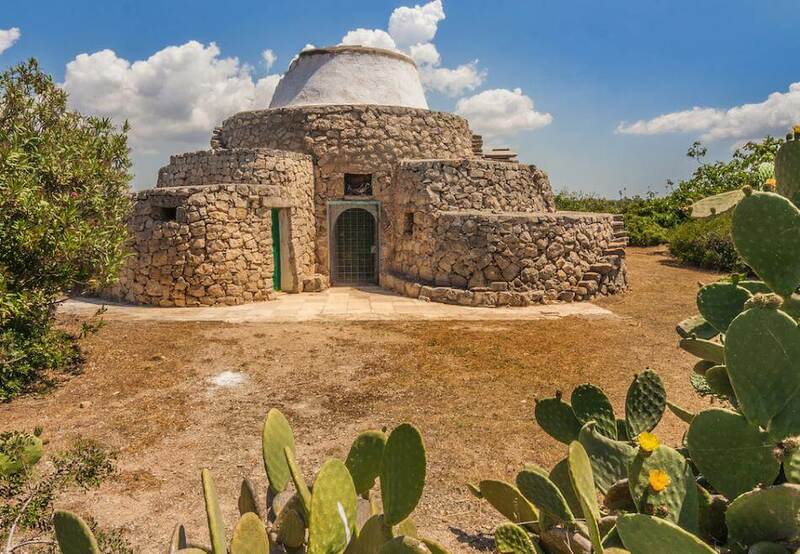 These pass quickly, however, and you can still spend lazy days lounging on the now quiet beaches such as the long stretch of sand at Punta Pizzo south of Gallipoli. Part of the Regional Nature Park ‘Isola di Sant’Andrea – Litorale di Punta Pizzo’ is backed by pungent pine forests and guarded by a 16th-century tower. In the garden of the Castello, “Giardino di Piante Utili”, sweet peppers, and the finest long green beans named “occhi pinti” are ripe for tasty dishes to be paired with the wines from Puglia, like Bocca di Lupo and Nero di Troia. 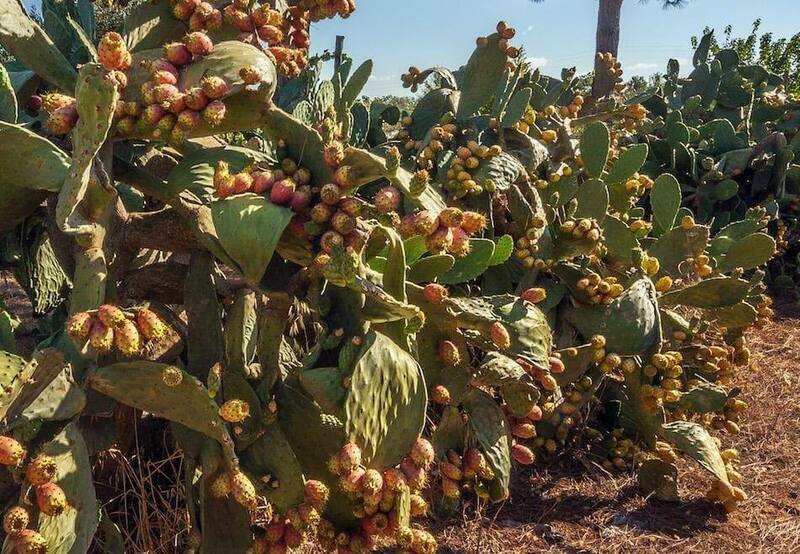 And of course the prickly pears are ripe and juicy.